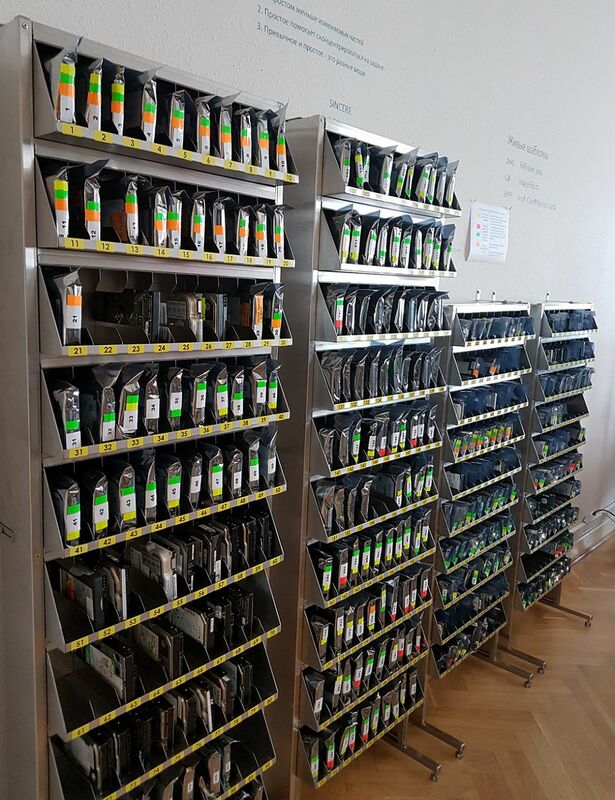 Today we are offering you a sneak peek into Atola Technology office to show you our device storage system. As you know, both Atola TaskForce and Atola Insight Forensic support the vast majority of 1.8-inch, 2.5-inch, 3.5-inch IDE, SATA and USB hard drives, USB Flash media as well as SD, Compactflash, and Memory Stick cards. Over the years, we have accumulated hundreds of devices to develop and test our systems on them. Some of the drives date back to 2003, when the company was founded, others were purchased or donated more recently. Many are damaged, yet they are precious to us: we actually bought most of them in this condition to make sure our acquisition systems are equal to the challenge of imaging such devices. 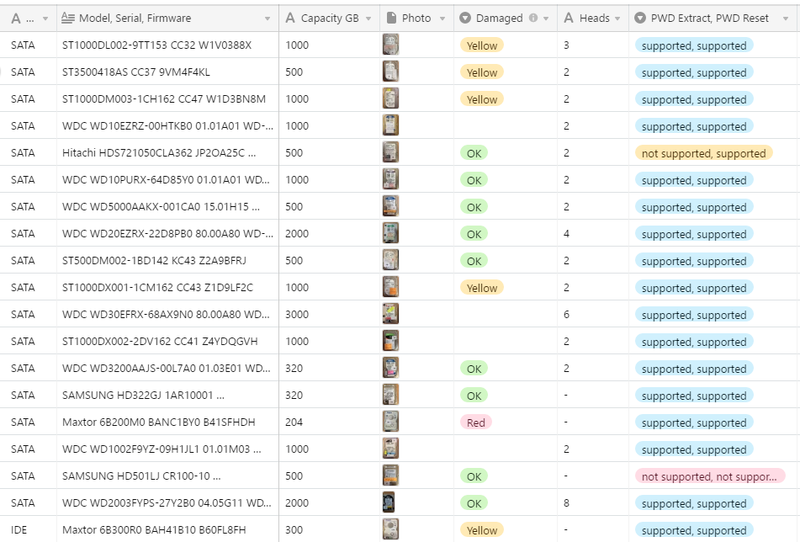 Each device has a unique history with us, so from the early days, we have had a database listing the drives and documenting their specifications, origin, condition and contents. Airtable allows adding various details including pictures of actual devices to help us quickly find the most appropriate drive for our purposes. Each drive has a number, is stored in a static-shielding bag tagged with colored stickers to help immediately identify the condition of a drive if you need to grab an appropriate drive quickly without checking the database. Our team members each have a set of tokens with their names that must be left in place of the drives when they are removed from their cells. All for easy tracking of the drives and their whereabouts.